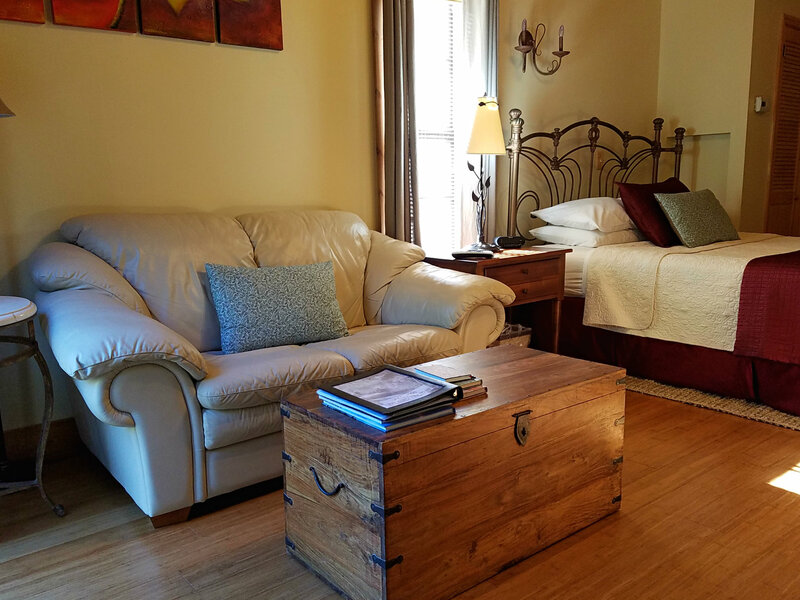 Two of our popular rooms, the Mountain Laurel Room and the Maple Tree Room, got recent floor upgrades. 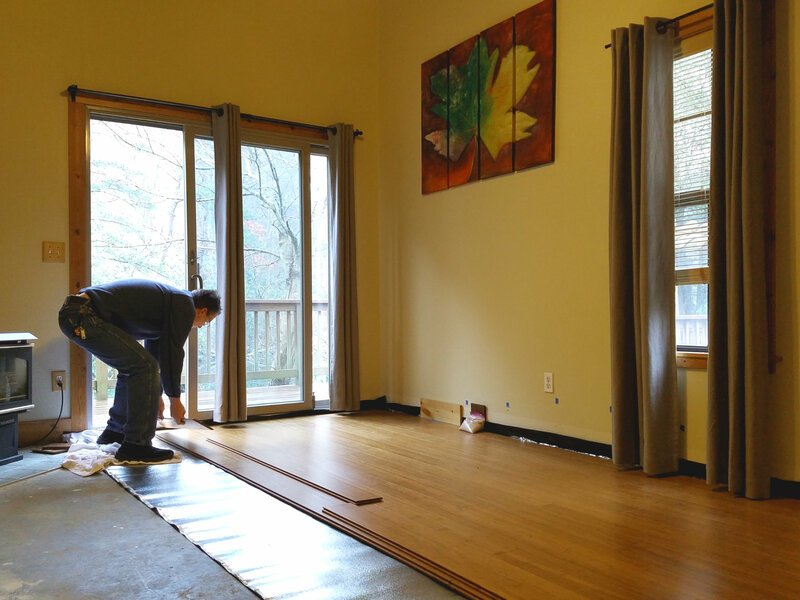 Buh-bye carpet, hellooooo bamboo! We picked bamboo because of its durability and because it looks beautiful. Innkeeper Dave had the bamboo shipped to the Inn and installed the floor himself from start to finish. 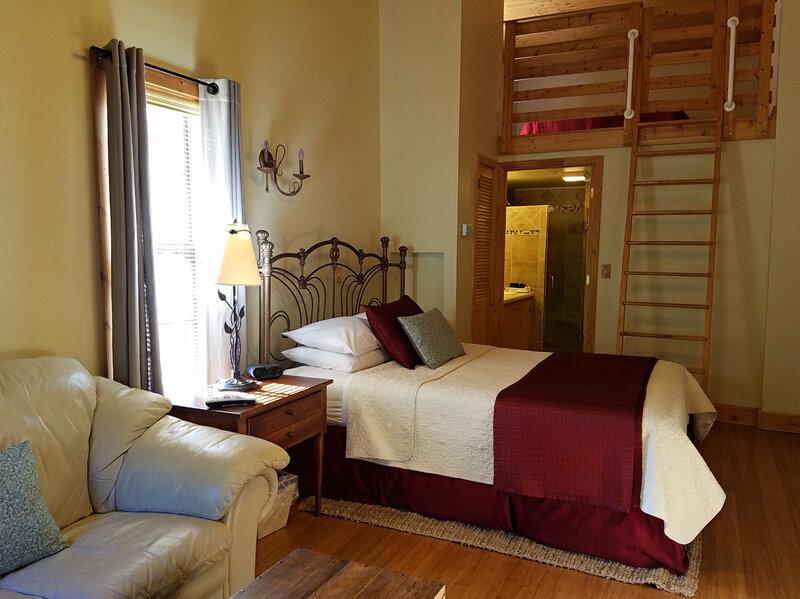 Below are photos of the Maple Tree Room. The Mountain Laurel Room photos are coming soon! If you know Dave, you know his engineering brain and his do-it-yourself talent, and getting to set up shop for a few days and use his tools — the miter saw was the workhorse, but the hammer drill and oscillating tool got some use as well — made him very happy. And of course, he strategically put several measuring tapes in the workspace to make the job easier. Apparently, losing a measuring tape is on par with losing your keys. Just when you need them…where did they go? Ready for relaxation? Check our website for availability and to make your reservation.